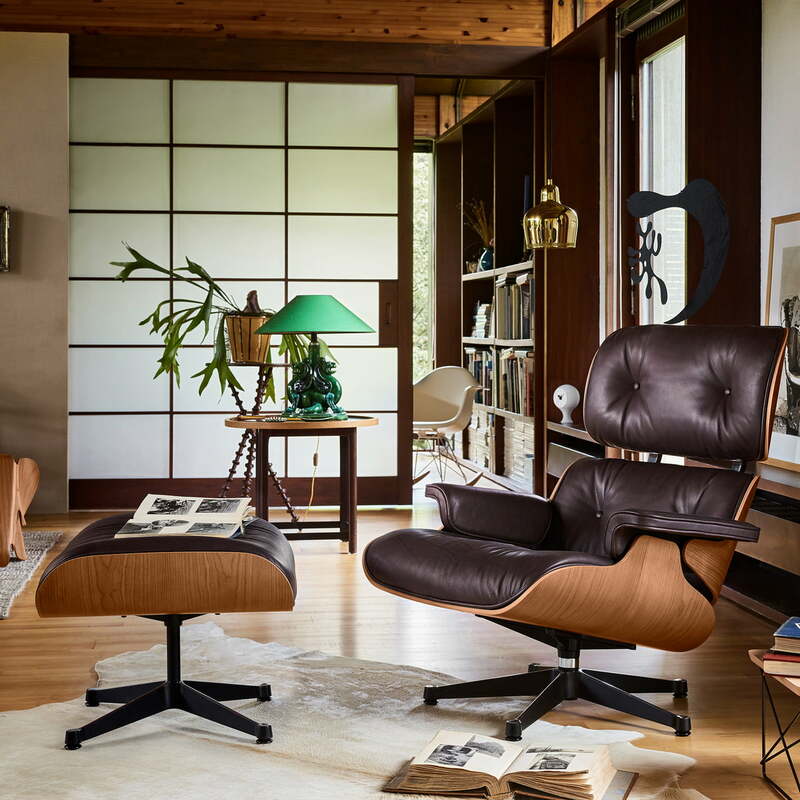 In 1956, Ray & Charles Eames created an elegant, comfortable and lightweight variant of the modern Club Chair, which is now one of the most famous design classic thanks to its extraordinary comfort and high quality finish. 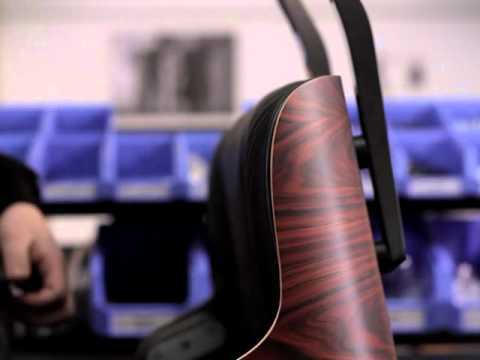 The Vitra Lounge Chair is available in a great range of different colours and types of wood. The Chair is available with two different heights: the classic height—i.e. the original dimensions of the design by Charles and Ray Eames—as well as a new height developed in collaboration with the Eames Office. With the new dimensions, the chair was adapted to the current average body size, so that the Vitra classic convinces with even more comfort. 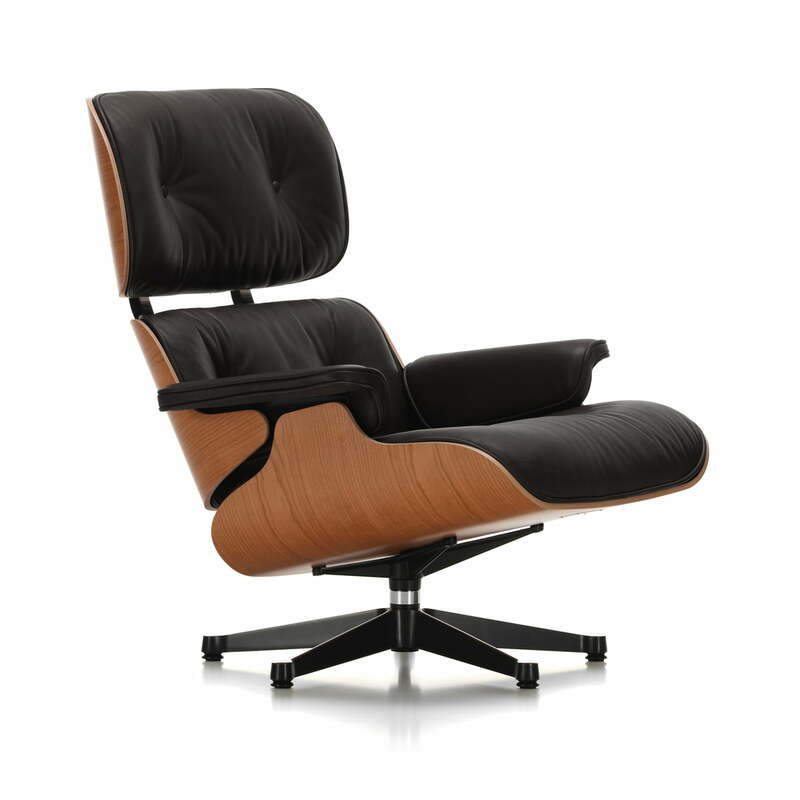 The Eames Lounge Chair’s base is available in a chromed or polished version with black sides. No matter what you decide: all combinations fit perfectly together. 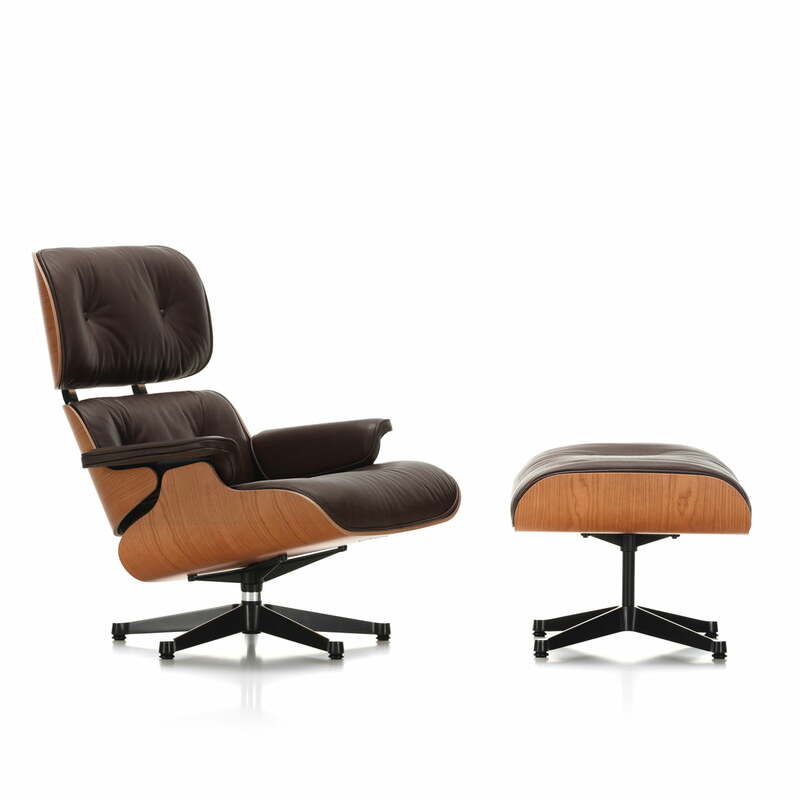 Matching with the Vitra Lounge Chair, an extra Ottoman is also available in the same colour.